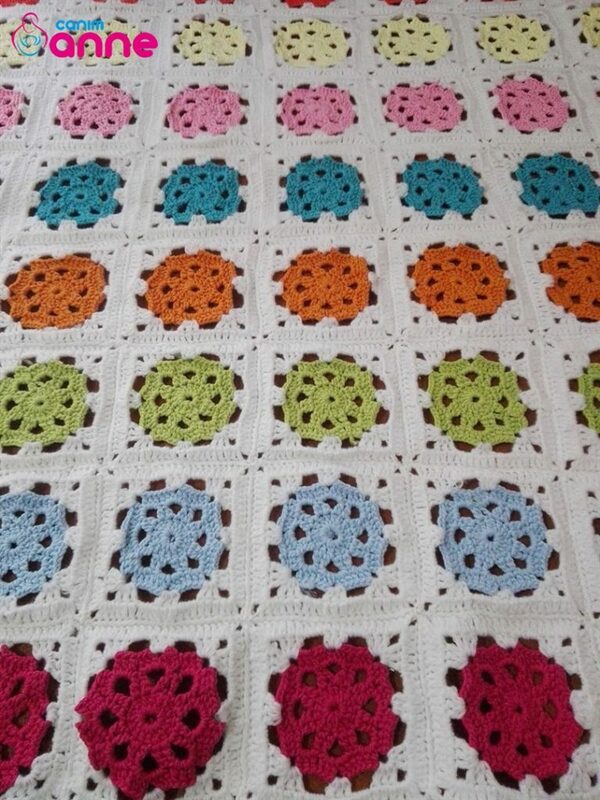 The baby blanket with a pattern of spring motifs is quite easy and the pattern of blanket with elegant motifs is waiting for your valuable followers. 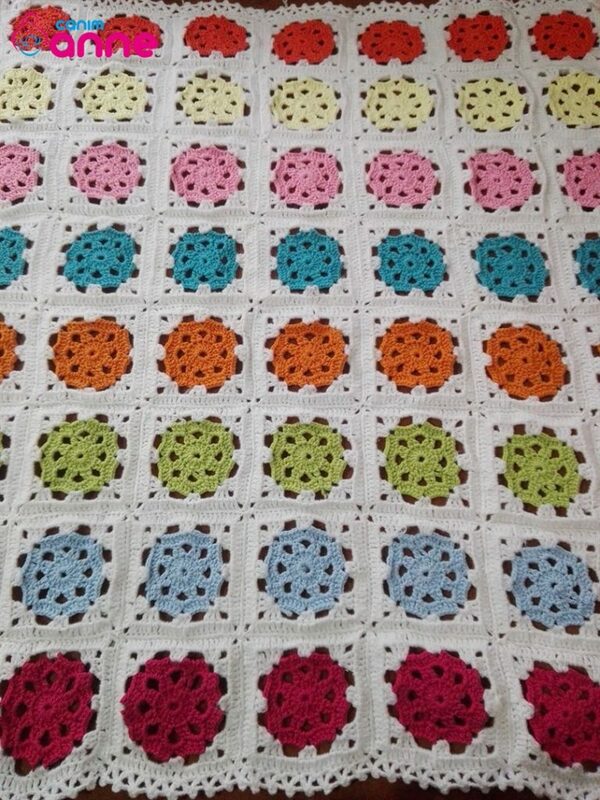 Those who have small babies know that the blanket is one of the most used baby tools during the summer and winter. We can’t say anything. 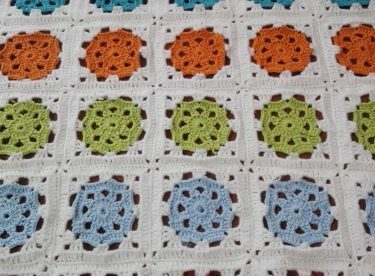 I think it would be a beautiful blanket pattern for our new mothers. 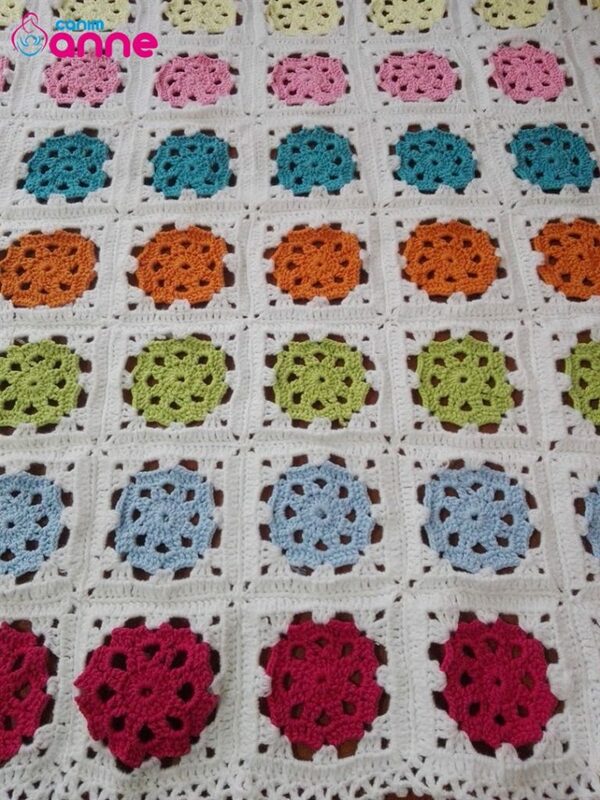 It is up to you to choose more vivid or darker colors in our baby blanket model with spring motif. You can evaluate your remaining ropes. It’s up to the colors you love. Our blanket pattern will help our friends who are thinking about new and make new videos. Color blanket pattern that you can easily color will be the pattern. I wish my friends to do so easily. Blanket pattern railing technique is used. Let us make sure that the use of rope is not only the same thickness but the same thickness. Let’s choose crochet according to your hand and the rope is thick and thin. First we make a round motif. Let’s start with the magic ring. 3 Pull the chain 15 Let’s make 3 3-handrail. Let’s pull the 3 chains again, move to the top of the sheet and make a 3-handed handrail, pulling 3 chains between them and completing the row in this way. There were 8 episodes in total. Let’s do a 3-handed handrail in the first slot. Let’s go through this chain with this technique. White rope with border details, let’s do motif pattern. You can do this by watching and using video narration for edge litter. Good luck with..